Premium Home is Sony’s division of high-end, home theater electronics that must be purchased exclusively through certified dealers. 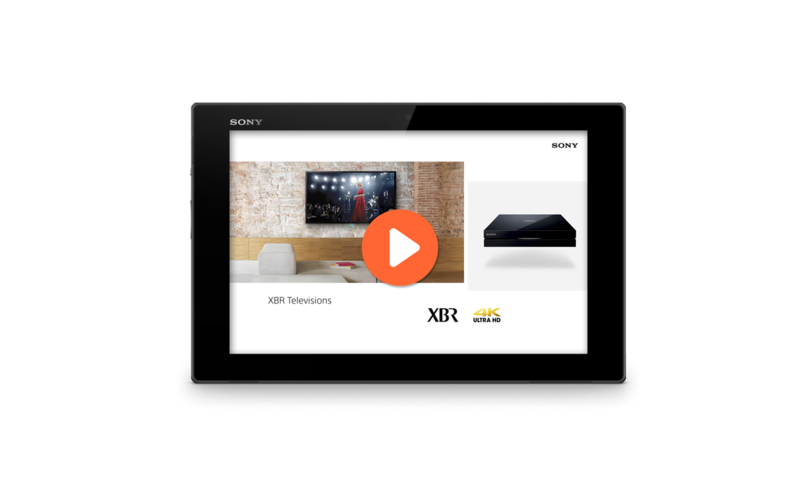 To effectively market these top-of-the-line televisions, speakers, sound bars and other devices, Sony needed a comprehensive solution that spoke to B2B and B2C clients. Our involvement with Premium Home began with a complete website overhaul. From there we built a complementary app for dealer training. 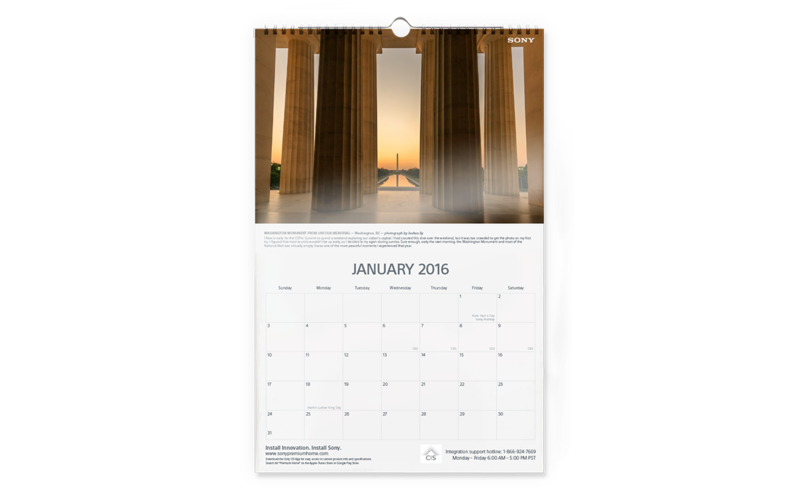 To support the campaign we developed print ads, landing pages, calendars and more. 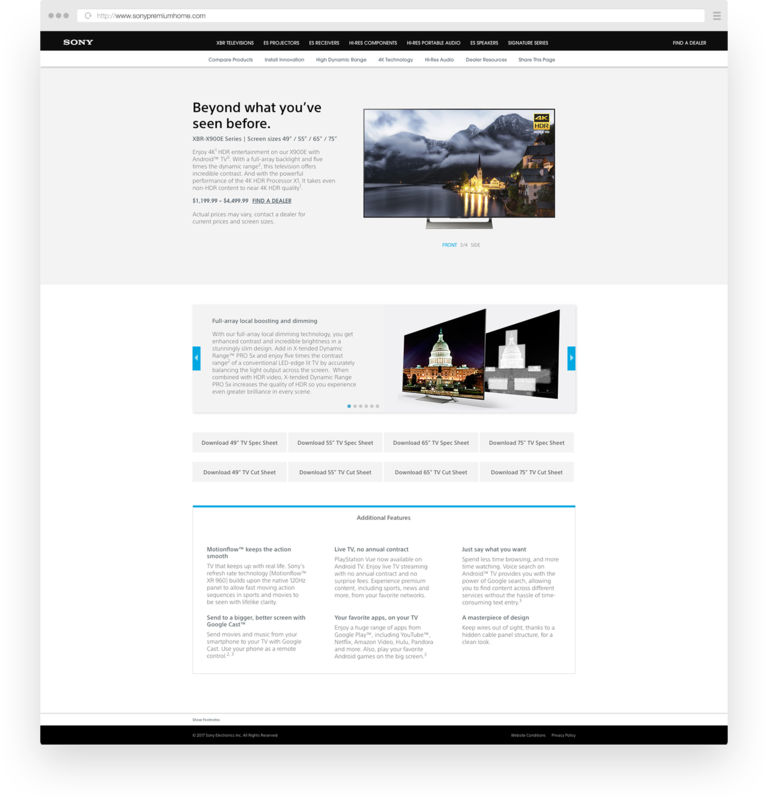 For the website we created a custom CMS (content management system) that made navigation and learning easy for users. Our web solution was also scalable, so new products and categories could be added seamlessly. 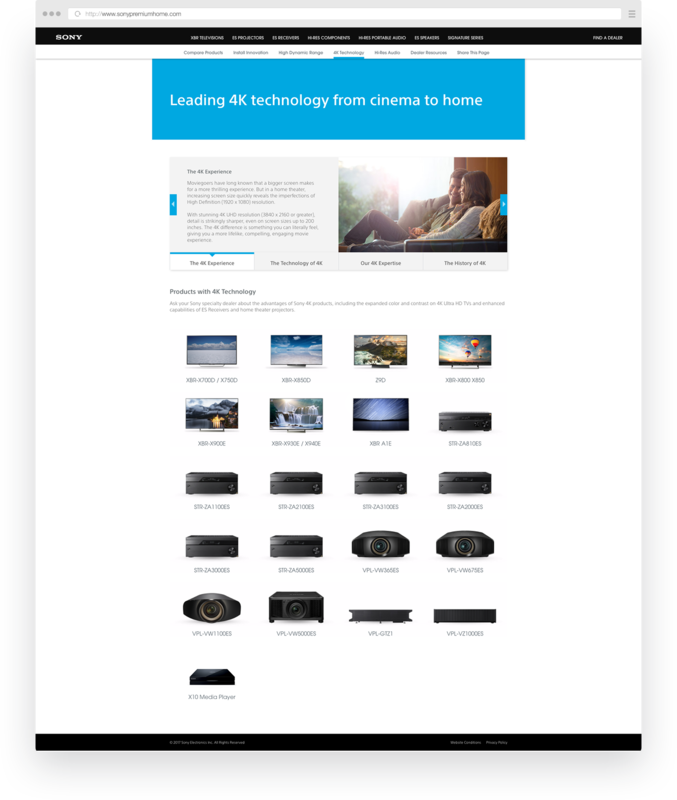 Beyond product pages and content we built various technology overview pages to educate customers about product features and performance. 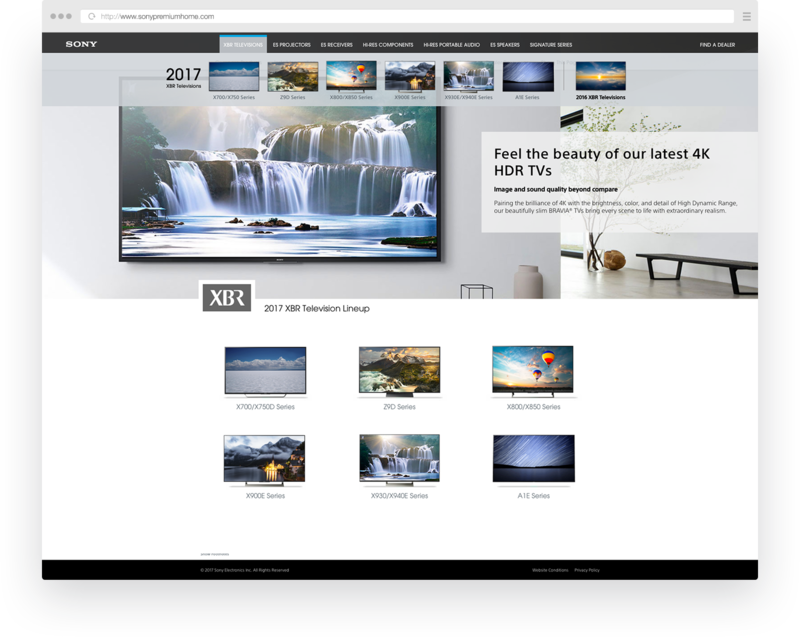 The product pages we built are robust and engaging. Product information, descriptions, images, features and specifications are built into a beautiful design that presents users with a total product view. The Premium Home App is an extension of the website and was built in the powerful Adobe Digital Publishing Suite (DPS). 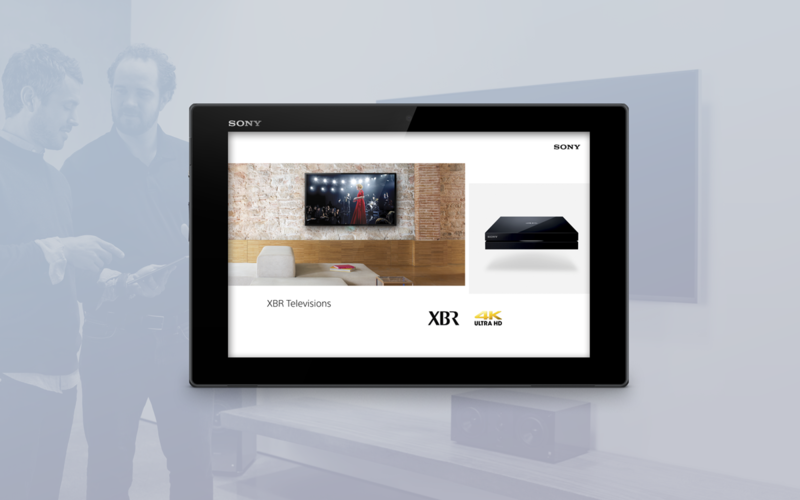 It supports Sony Premium Home dealers when interacting with customers. Compatible on both iOS and Android platforms, this app is a versatile sales and education tool. 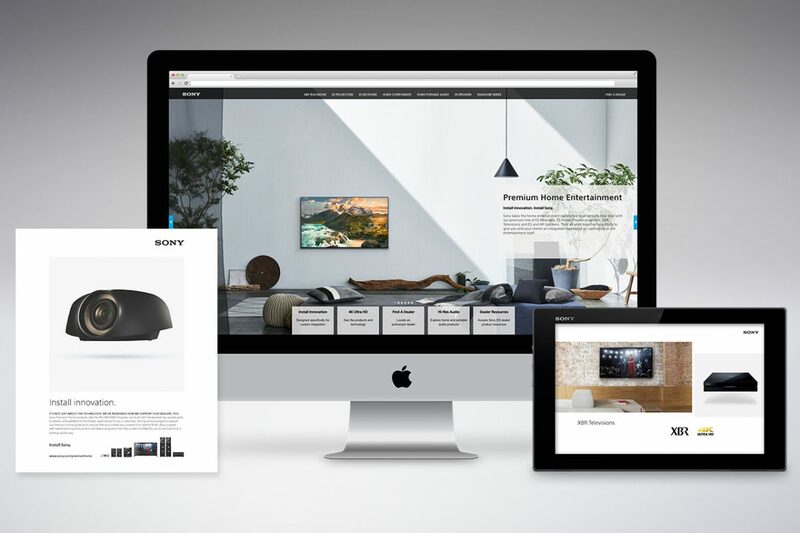 Sony Premium Home DPS App Presentation from Carlucci Design on Vimeo. 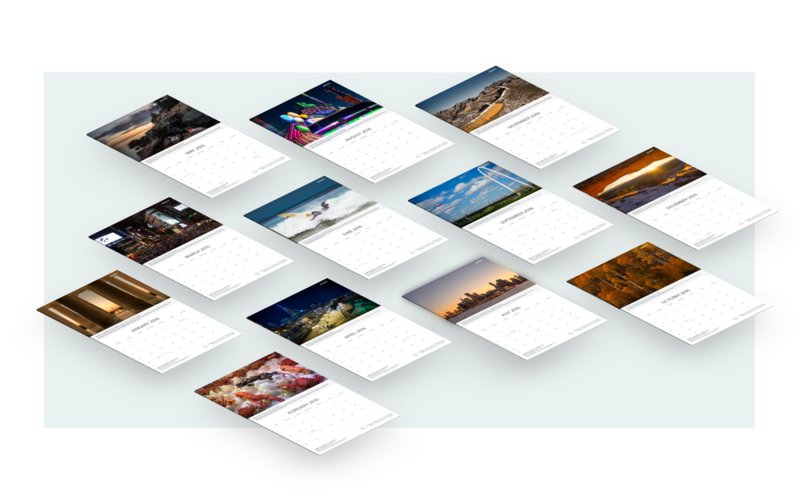 The Sony Premium Home Calendar is a collateral project we create each year as a way for the Premium Home team to thank their vendors and dealers. 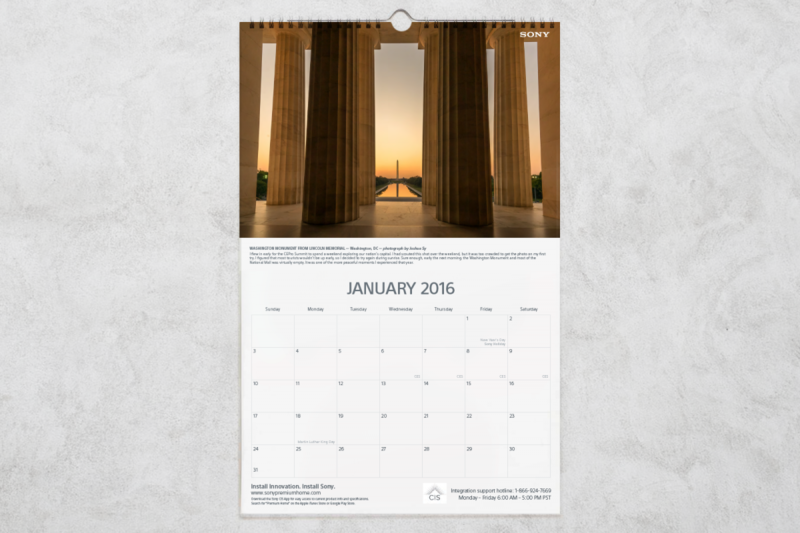 We use classic print design to create an elegant and visually engaging piece year after year.